As some of you probably have noticed, the next release of Firefox – version 57, to be released on November 14th, 2017 – will not be supporting so-called *legacy* Add-ons anymore. Only Add-ons built on WebExtensions technology will be loaded. To run legacy Add-ons, you need to run Firefox ESR, which is currently on version 52.4. However, on June 26th, 2018, the ESR branch of Firefox will be based on version 59 only, so legacy Add-ons will stop working on ESR on that date, too. Migrating legacy Add-ons to WebExtensions technology is not at all an easy task, and is almost always coupled with a loss of functionality. This is on the one hand because of WebExtensions having to follow the lowest common denominator of all supported browsers – these currently being Firefox, Chrome, Edge and Opera – and on the other hand due to Mozilla not providing the same level of functionality/APIs through WebExtensions which are available to legacy Add-ons. These limitations show in the use of context menus, on usability of buttons and more. Additionally, internationalisation and access to networks and files is a lot more limited with WebExtensions. A large number of developers of even the biggest Add-ons out there have stated that it is not feasible to migrate their Add-ons with justifiable effort, since often, a full rebuild of the code is required. This shows in the fact that many developers have taken their time with migrating their Add-on, which is evident for many users in often more than 80% of installed Add-ons listed under *about:addons* sporting the “legacy” label. WebExtensions allow for easy portability to Chrome and Edge, allowing us to provide more customers with ShareOnVibes benefits than ever before. Rebuilding much of the underlying infrastructure of ShareOnVibe lets us make ShareOnVibe even faster and better. During the rebuild, we can enable ShareOnVibe‘s technology for expanding sharing functionality to other target systems like e.g. Micro Focus Filr. With a new version, we can leverage the amazingness of our customer base to optimise the feature set and capabilities of ShareOnVibe to deliver an even better product. If you are using ShareOnVibe, but are not under active maintenance, don’t hesitate to get in touch – we appreciate your input and look forward to welcoming you on the upcoming exciting journey toward a WebExtensions-based ShareOnVibe. As for the “legacy Add-on” version of ShareOnVibe, we will keep testing the compatibility with the ESR versions of Firefox, and will update compatibility information accordingly. Thanks for reading, and keep Sharing On Vibe! Our Firefox add-on ShareOnVibe – The productivity booster for your Vibe platform is working fine with the newest version of Mozilla Firefox (46.0). You can find further information on the supported versions of Firefox in our system requirements. In case you detect any problems or unexpected behavior of ShareOnVibe, please make sure that you are using the latest version of ShareOnVibe (build 1.1.51 or higher) for perfect compatibility with a newer Firefox (43 and higher) and Vibe 4.0 and take a look at FAQ & Troubleshooting. If you notice any problems or unexpected behavior while using ShareOnVibe, please contact us via mail or use our contact form. After upgrading to Firefox 43 you may receive the following warning message about the deactivation of unsigned / not verified Add-ons and extensions. This includes the deactivation of ShareOnVibe. Click “Learn more” or check the status of all Firefox Add-Ons and Extensions under Tools –> Add-ons. Old versions of ShareOnVibe (up to 1.1.49) have been disabled by Firefox because of changed signature regulations on behalf of Mozilla Firefox. The re-signing / re-verification of ShareOnVibe by Mozilla was successful and we have created a new version of ShareOnVibe (1.1.51) which you can use with Firefox 43 and higher without any problems. Of course, ShareOnVibe (1.1.51) is also compatible with Vibe 4.0, as the previous version was. Learn more about ShareOnVibe‘s system requirements and browser compatibility here. Simply request your copy of ShareOnVibe (1.1.51) by email. We will provide every user of ShareOnVibe, who has active maintenance and support, with the XPI file for the latest version. Simply drag and drop the XPI file to your Firefox browser and restart. A new version of ShareOnVibe, the “productivity booster for your Vibe platform”, is available. The newest ShareOnVibe version was created due to changes in interfaces and methods in the recently released version Novell Vibe 4.0. To use ShareOnVibe with a Vibe 4.0 installation, simply request ShareOnVibe 1.1 by mail or via contact form. More information is available in the System Requirements and the ShareOnVibe documentation. Do you already use the latest version of Mozilla Firefox? Our Firefox Add-on ShareOnVibe (build 1.0.48) has been tested and proven to work with Firefox 32.0. In case of any unexpected behavior of ShareOnVibe, please make sure that you are using the newest version, ShareOnVibe build 1.0.48, and take a look at the FAQ & Troubleshooting page. If you have questions regarding ShareOnVibe, please contact us via mail or use our contact form. Our Firefox add-on ShareOnVibe (build 1.0.48) is working fine with the newest version of Mozilla Firefox (30.x). You can find further information on the supported versions of Firefox in our system requirements. In case you detect any problems or unexpected behavior of ShareOnVibe, please make sure that you are using the newest version, ShareOnVibe build 1.0.48 and take a look at FAQ & Troubleshooting. If you notice any problems or unexpected behavior while using ShareOnVibe 1.0.48 with the new Firefox version, please contact us via mail or use our contact form. This week, Mozilla released Firefox 29 with a new design and many customization options for users. Of course, we have checked that our Firefox add-on ShareOnVibe (build 1.0.48) is fully compatible with the new browser version. You can find further information on the supported versions of Firefox in our system requirements. 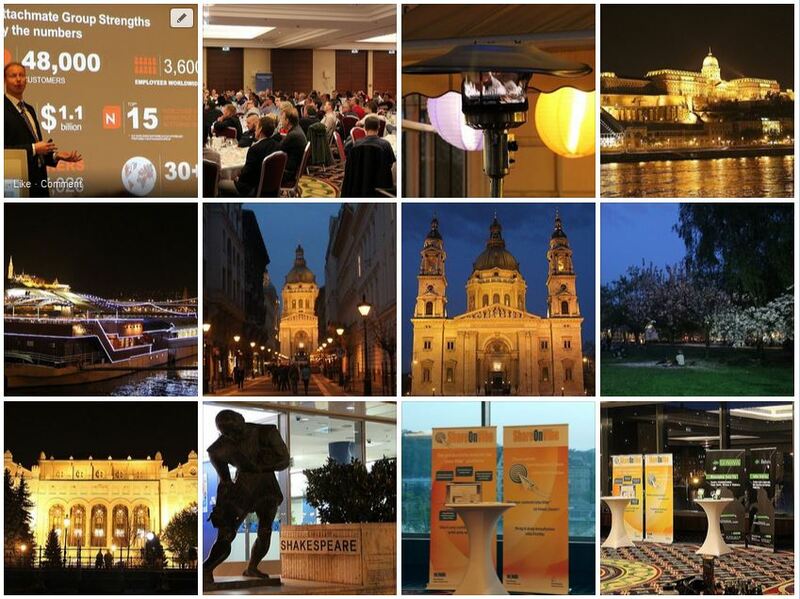 We are back from Budapest and had a great time there at the Open Horizons EMEA Summit 2014. As partner and official sponsor of the summit we were happy to meet a lot of friends, partners and members of the Open Horizons Community and it was a pleasure to welcome everybody at the ShareOnVibe tables! In our Collaboration Hotlabs we showed how to fit Novell Vibe to your requirements and the Hotlab attendees found out how easy it is in Vibe to create solutions for their own special use cases. The Vibe Landing Pages Hotlab was full of hands-on Landing Page building and customizing them for a variety of use cases. As you can see in the pictures, we even managed to find the time for a short walk to enjoy the beauty of Budapest and to leave the great conference venue for a little breather. Many thanks to Open Horizons for the great organization, great food and coffee 🙂 and a carefully thought out summit schedule! 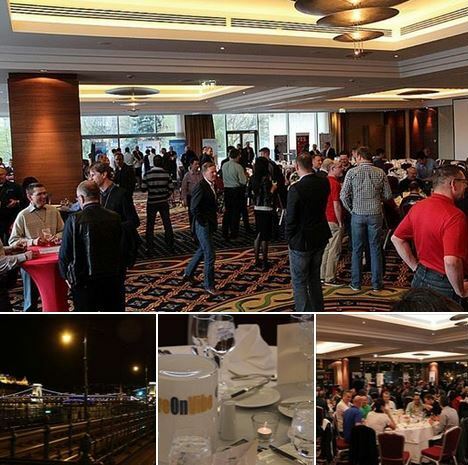 ShareOnVibe is an official sponsor of the Open Horizons EMEA Summit in Budapest and we are already in the middle of our preparations.